The favorite camera for the world’s top sport shooters readies for a new season of competition. The Tachyon GunCam- Full-HD 1080p, weighs in at only 1.9 oz. (54 grams), so it sits light and unobtrusive on shooter’s caps. 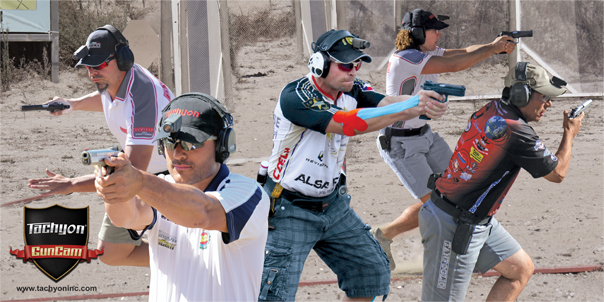 Centered on their heads and above their guns, they are perfectly placed to capture dramatic videos of both practice and competition. The GunCam utilizes a wide-angle lens that captures hands, guns and targets, but without the undesired fish-eye effect that you find with most other cameras. 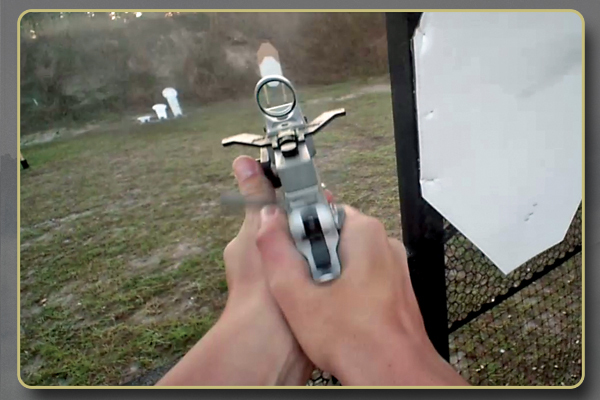 The GunCam is ideal for IDPA, USPSA, IPSC, ISSF, 3 Gun Nation, and NSSF shooters. 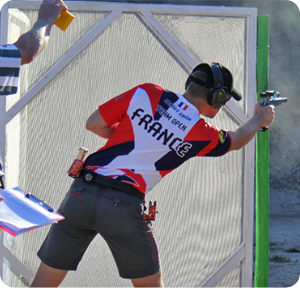 First-person GunCam video from the IPSC World Shooting Championship and Florida, 2014, featuring World’s Top Shooters using their cap-mounted Full-HD 1080p Tachyon GunCams. Optional Sport Shooting Software, specifically designed for competition, ensures that your battery and memory card will last all day by automatically stopping recording after two minutes. 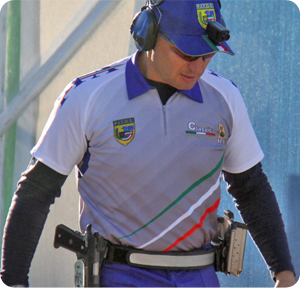 This lets the shooter concentrate on the competition and not on turning off the camera, and enables the recording of a long day of competition without missing a single shot. 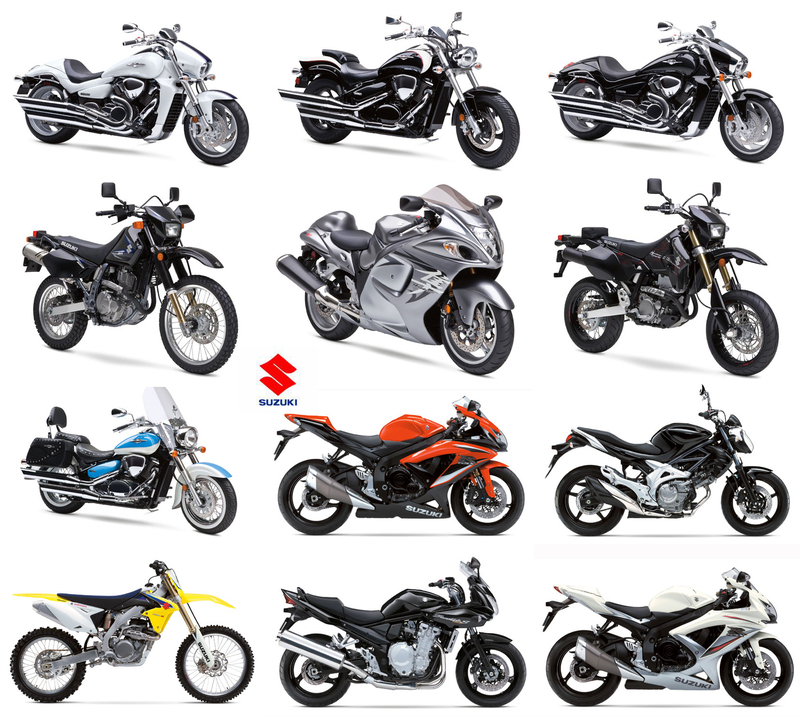 Standard non-stop software as well as other software targeted at different sports or uses, such as for motorcycles, dash cams with looping, law enforcement with Time & Date stamp, or hunting, give the user great control over camera operation. The Full-HD 1080p GunCam for Sport Shooting, which includes the GunCam, Cap Mount, a Contour and Tripod mount, Rain/Dust proof Cover and a shooting cap can be purchased for only $199.99 from Tachyon’s Sport Shooting page. Free shipping within the US, and reasonable shipping rates worldwide. No sales tax other than for TX residents. 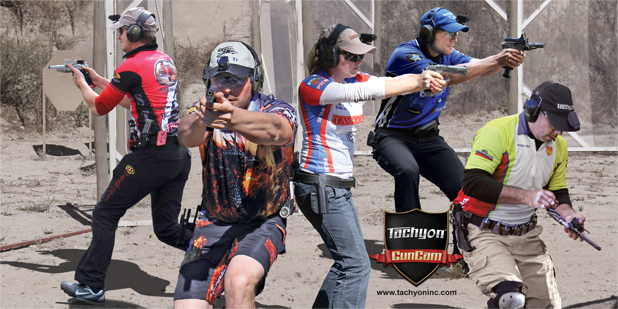 Tachyon also offers a collection of zinc-alloy rails for mounting your GunCam to almost any gun that you own. Our GunCam Bundle, priced at $249.99, is ideal for those who wish to record a wide variety of gun sports. The GunCam Bundle is available at our GunCam page. Detailed presentation of Tachyon’s GunCam mounts and other accessories, that allow you to mount your GunCam to almost any gun that you own. Tachyon is an accredited member of the Better Business Bureau, with a rating of A+ for its long years of unequaled customer service. 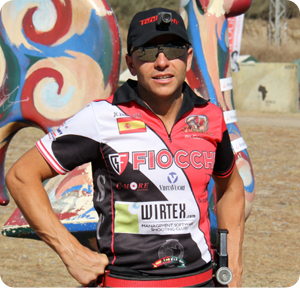 5-Time World Champion Éric Grauffel had never before recorded his competitions because he had never found a video camera that was up to the task. But when he found the Tachyon GunCam HD, he was so impressed that he asked Tachyon to make a special edition of the camera with his name on it. Éric Grauffel, also a 6-time European Champion, puts his signature to the GunCam HD: the lightest and smallest HD video camera system. It is designed to be easily mounted to caps, making it perfect for capturing intense first-person action of shooting sports. Able to record 30 stages of the World Shoot on one charge. Uses 4 – 64GB Micro memory cards for up to 17 hours of HD video. Charging cable can charge camera in the field from portable power banks. 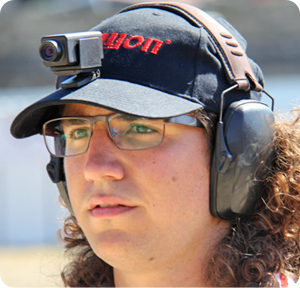 GunCam HD is not only for competition pistol shooting. It is designed for all types of guns and gun sports. Tachyoninc.com offers additional mounts for mounting your GunCam HD to nearly every type of gun. Rifles and shotguns, as well as pistols. It is well known that the most common cause of lost video from sports cameras is because of non-fixed batteries losing contact with the circuitry. But the GunCam HD’s battery is soldered in place. It is hard-wired to withstand heavy recoil. It has passed tests with shotguns shooting slugs, and ARs and AKs on full automatic. None of these bad boys can stop the GunCam HD from grabbing your shooting footage. This is the perfect camera for hunters and trap shooters, who wish to relive and show off their shooting prowess to friends and family, as well as to review mistakes and study means of improvement. 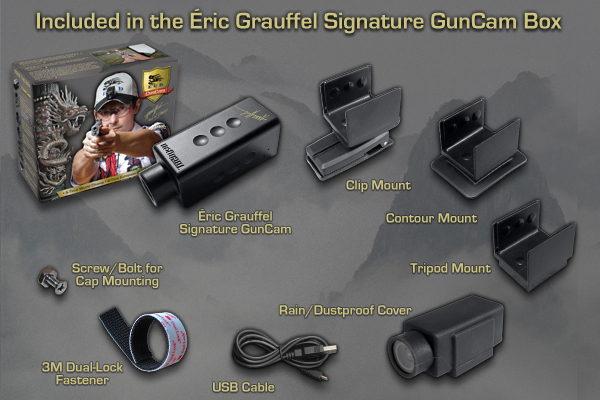 The Éric Grauffel Signature GunCam HD, as well as optional GunCam HD mounts, can be purchased online and at Éric’s shooting events. If you are in Europe, please purchase HERE. And if in the US or Canada, HERE. 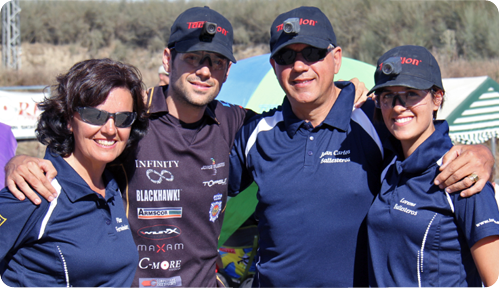 Tachyon GunCam, sponsor of the Spanish National team at the IPSC 2013 European Handgun Championships, is proud to show off its HD headcam, a light-weight, cap-mounted HD video hat camera that grabs sport shooting action like no other camera. This high-quality team demands a high-quality HD first-person video camera for training and competition. The Tachyon GunCam weighs only 48 grams, (1.7 oz.) so it sits light and unobtrusive on the shooter’s cap, making it the perfect head camera. Centered on the head, and above the gun, it is perfectly placed to capture videos for both sport shooting or tactical practice as well as competition and real ops. The GunCam utilizes a wide-angle lens that captures hands, gun and targets but without the undesired fish-eye effect that can be found with other cameras. The GunCam makes use of a built-in 4-hour lithium rechargeable battery. This internal battery, tightly enclosed within the case is designed to prevent loss of footage due to shock when engaging in extreme activities. The Tachyon GunCam can be mounted on the bill of a hat for competitive shooting but also on pistols, rifles, shotguns and others, using the optional Picatinny Rail Mount and assorted mounting rails. The GunCam can mount to all of the following guns: Glock 34, 35. STI, XDM 5.25, CZ 75 Shadow, TANFOGLIO. – Marius Kazankis – Lithuania national team, Production Division top five in Baltics. The Tachyon GunCam, also known as The Tachyon OPS HD, includes the OPS HD Camera, the specially modified Cap Mount, a Contour and Tripod mount, and a Rainproof Cover. It can be purchased for only $149.99 from the Tachyon website. Please write “Sport Shooter” in the comment area when ordering. The Tachyon OPS HD is also the only gun cam on the market that can mount to handguns with a Picatinny rail, using Tachyon’s optional Picatinny Rail Mount. Tachyon, Inc. is an accredited member (A Rating) of the Better Business Bureau.